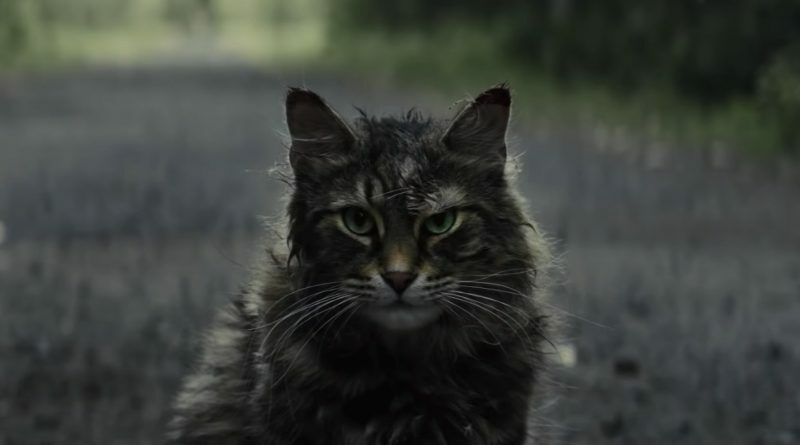 Review: Watching the remake of Pet Sematary makes me wonder if someone buried Stephen King’s classic 1983 novel and it came back to life. Like the film’s premise this movie looks enough like the original but is far creepier. It is one of the better remakes and book adaptions to come along in a while. Not perfect by any means but it stays true where it needs to and what it does add fits nicely. You do not need to have read the book to enjoy the film so I will not spend too much time comparing the two. If you read the book, great. If you haven’t, well you should. Reading is fun. In this version Dr. Creed (Jason Clarke) and his wife Rachel (Amy Seimetz) have moved to rural Maine for a slower pace of life and much needed family bonding. Creed is excited to have more time to spend with his two young children, Gage (Hugo Lavoie) and Ellie (Jeté Laurence). Rachel too is running from some past horrors that the fresh air might help alleviate. They discover that on the expanse of their new property is a decades old Pet Sematary. So named – and spelled incorrectly – by the local town’s children. Beyond that though is a very different burial site. One with a menacing history. When a long time resident of the area, Jud (John Lithgow), shows Dr. Creed the powers of that place it is with good intentions. Little does he know what will transpire. We do however thanks to movie trailers that spoil everything. There are a lot of scary moments in this one and some of them not from the main story line. There is a secondary plot revolving around Rachel and her deceased sister. To be honest those flashback moments and visuals were more hair-raising than the cemetery. They never distract or steal any thunder but are some fantastic additions to elevate the scare factor of the overall film. You can ask yourself how it all ties in together but you won’t get an answer. Like I said it isn’t a perfect film so just take what they give and enjoy it. The emotion of the main characters is very important and delivered nicely by the cast. If you don’t believe their motives then it will all fall apart. Clarke is fantastic in this one as a grieving father doing what he thinks he has to. Judge him if you want but I never doubted his sincerity. Lithgow always knows how to tell a story and his conversations with Creed are high points of the film. Obviously I have to give a nod to Laurence as well. 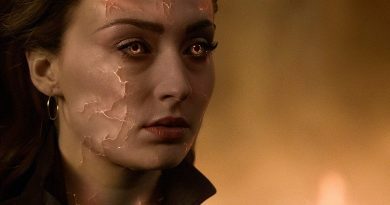 Her character takes a vicious turn late in the film and she transforms perfectly. If I were her parent in real life I would lock my bedroom door at night. I remember reading the book in the early 80’s and the cat freaking me out. That was before the internet and we didn’t have many tv channels either. So our brains were stronger at creating mental images from what we read. The cat in this one is awesome and stirred up all sort of un-fond memories. I am glad that the film’s creators used Church in the manner they did. Not only was it nostalgic but again added one more layer to the overall aesthetic. Bottom line? 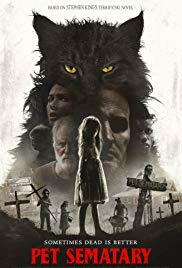 Pet Sematary is a great genre film and a solid retelling of the King novel. Let the unanswered questions stay buried. They will distract you if you let them. Otherwise curl up and enjoy the creep show. It is rated R for horror violence, bloody images, and some language. Leave the kids at home with a sitter. If you are too cheap then go see something more appropriate. Don’t be that parent. I give it 3.5 out of 5 speed bumps. As a fan of the book I was pleasantly surprised.